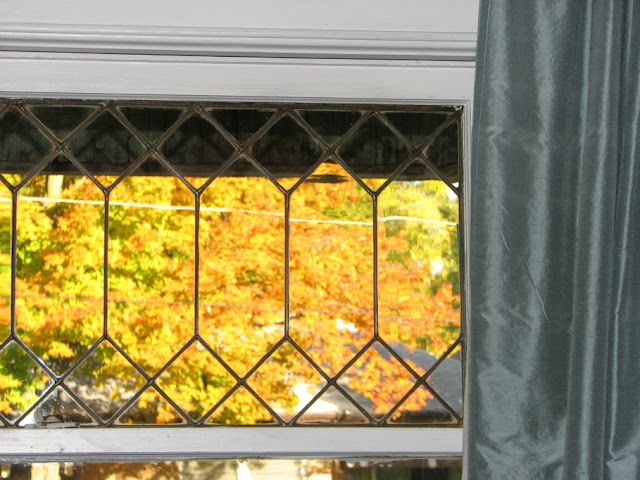 Before I show you the bathroom, check out the fall colors...so pretty through the leaded glass! 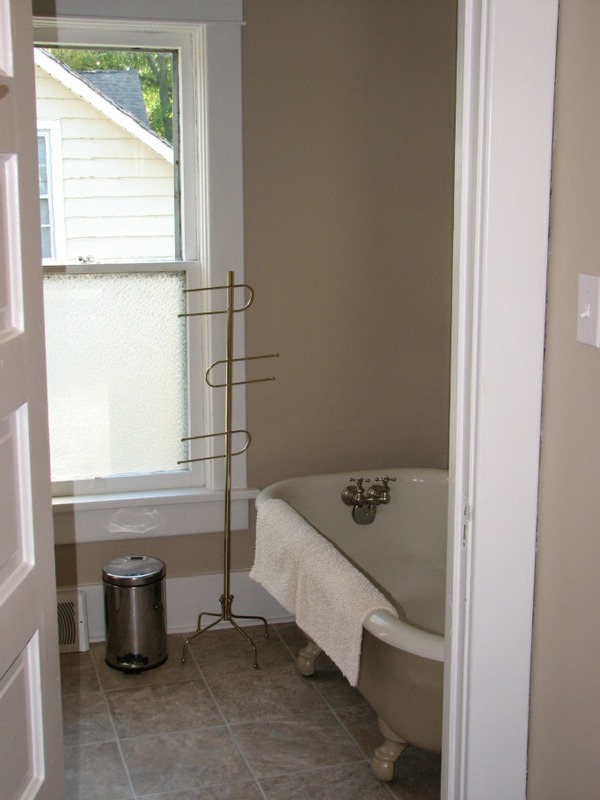 The upstairs bath is pretty much a blank slate, and it has some nice features. It gets a lot of light, but it definitely needs a window treatment, because the neighbors could look right in! And it has a claw foot tub. I loove bathing in those old tubs. They are so comfy. And it has a new vinyl floor which should be easy to clean. I wish I could show you some true before pics, because it was just in awful shape. The landlord and his workers put a lot of work into the place to get it to this point. They put in a big mirror, that I might want to find some way to frame. 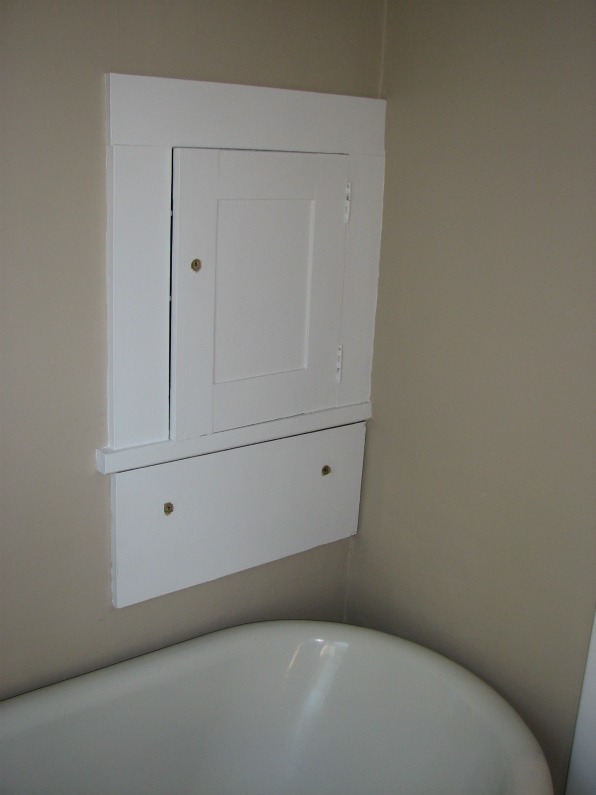 This little medicine cabinet is in a strange place! 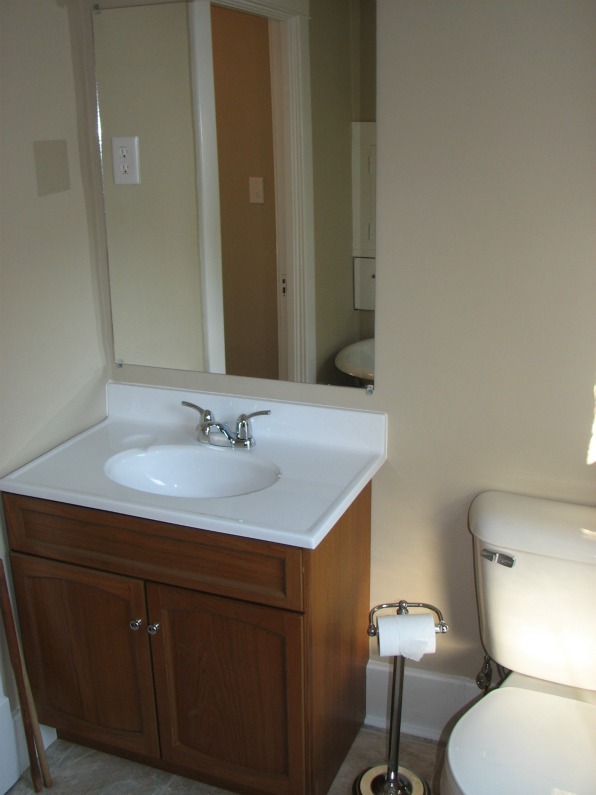 Cute though, and it has glass knobs. I've taken them off to try and get the paint off of them. This is the bathroom doorknob. It's a wee bit grimy, but I think it will sparkle when I get it cleaned up. The former owner smoked so the things that are left to clean are covered in a film of ick. 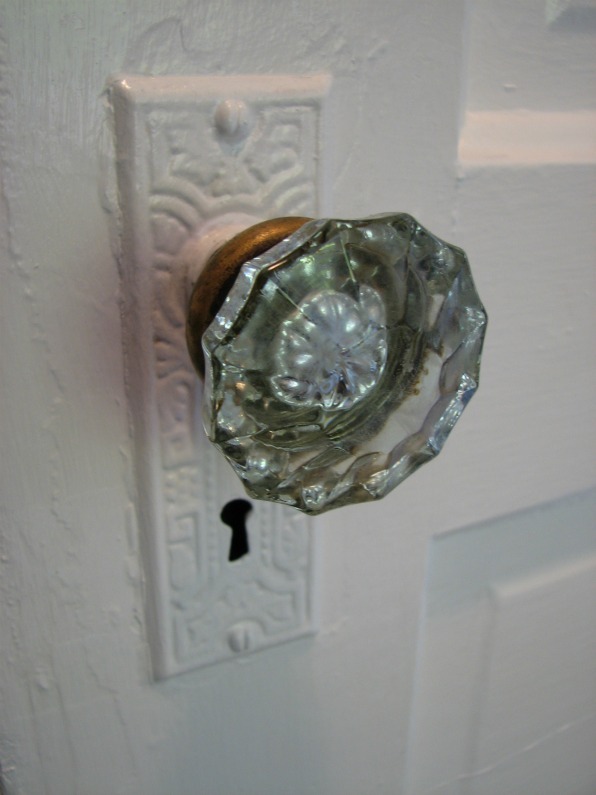 Lots of the doorknobs in this house are this type. Films-of-ick-from-previous-smoking-owners are the PITS! But there are such a lovely lot of interesting features in this house, even I would be developing an uncharacteristic need to de-ick!